Jenni recently moved to New Hampshire from Massachusetts. She has always loved animals and has worked with them for many years. Jenni and her fiancé live with 3 dogs, a rabbit, and chickens. They soon hope to expand to some farm animals. In her spare time she prefers to be outdoors or building things she found on pinterest. Ian joined the Pembroke Animal Hospital team in July of 2013 as a Kennel Technician. He brings 3 years of experience working in a large boarding and daycare facility and a love for all animals. He completed his Veterinary Technician Assistant in 2011, has attended a Canine Trainers Academy and holds the American Red Cross Canine First Aid and CPR certificate. With his additional experience of facilities maintenance he will provide and safe and happy environment for your pets play or stay. He is looking forward to many years of loving and caring for animals. At home, Ian has three cats (Maggie, Bob and Casey) and two German Shepherd Dogs (Asker and Hizway). In his spare time he enjoys working on his house. His dream vacation is to volunteer at Best Friends Animal Society in Kanab, Utah. Kayla joined the team at PAH in 2016. She has her veterinary assistant certificate and is currently pursuing a degree in veterinary technology. She enjoys hiking, fishing, and mudding in her jeep in her spare time. Jayde joined PAH in 2018. 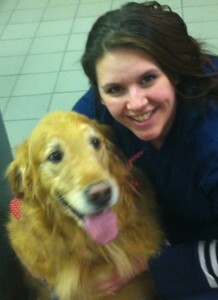 She has loved animals all her life and is very excited to be a part of our Patient Care Team! 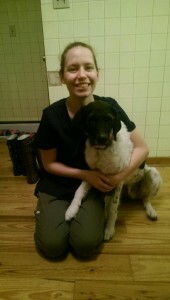 Chauntelle is one of our kennel technicians. She has worked in the field for 4 years. When she's not working she enjoys spending time with her dog Punkie Brew and hanging out with her son. She also enjoys riding horses and going fishing. 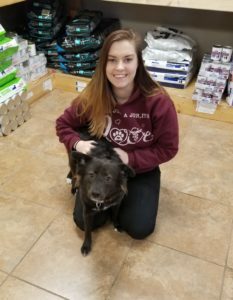 She will do a great job making your pet feel right at home !